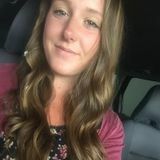 Want to connect with Korynn? I am 20 year old woman living in Parksville. I have been babysitting since the age of 12, and have over five years of experience coaching children of all ages at Koot-Neigh, an equestrian facility in Nelson, BC. I recently finished at a part-time nannying position locally for a family with 2 children. The position ended on good terms - our schedules just didn't work together anymore! I will be looking for casual nannying/babysitting work as of October. I can't commit to anything long term at this time, but if your nanny is away or if you need an evening out I would be happy to help! I am happy to care for children of any age, as well as cook and clean as necessary. I love animals of every kind and can care for them as well. I graduated high school with my double dogwood diplomas, so I can speak, read and write in both English and French (although my French is a little rusty). I have my own transportation and a class 5 licence. I also have my CPR-C and basic first aid, my babysitting certification, a recent criminal record check, and my equestrian coaching certification through the National Coaching Certification Program of Canada. As of October I will have just returned from competing at the World Equestrian Games and will be taking a break from the extremely busy training schedule that I've had for the past year, so my schedule will be quite wide open! Animal Lover Available for Pet Sitting!